On Wednesday, the insights of Zinga A. Fraser, Director of the Chisholm Project, became the basis of an article published in the Guardian. Entitled “ ‘It’s About Time’: Shirley Chisholm, First Black Congresswoman, Will Get a Statue”discussed Shirley Chisholm’s life and work in light of the new statue of the Congresswoman that will be erected in Prospect Park, Brooklyn, in 2020. “Shirley Chisholm, being African American and being a woman, understood what it means to be on the outside,” she said. “When she says she’s unbought and unbossed, that means she will make the decision for herself and those she represents, regardless of what the political fallout may be. Earlier in November, Dr. Fraser’s analysis was prominently featured in an Associated Press article,“50 Years in, Chisholm’s Historic Victory Offers Inspiration.” This piece was distributed in publications like The New York Times, The Washington Post, NBC New York, US News, The Tampa Bay Times and The Houston Chronicle. On November 27th, Dr. Fraser also organized the 2018 Chisholm Day celebration at CUNY Brooklyn College. Chisholm Day is an annual event at Brooklyn College, but 2018 was a particularly important year for Chisholm’s legacy. The celebration marked the 50-year anniversary of Shirley Chisholm’s entrance on the national political stage. On November 5th 1968, she became the first Black woman in American history to be elected to Congress. 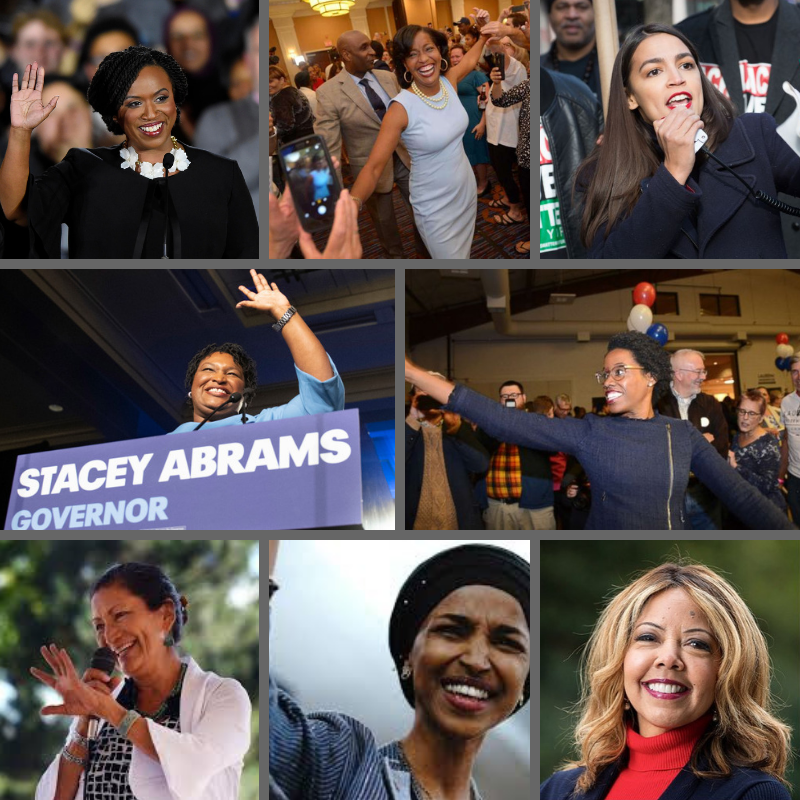 On November 6th 2018, a wave of progressive women of color were elected to Congress, almost all of them citing Shirley Chisholm’s “Unbought and Unbossed” legacy as a moral and political inspiration for their own campaigns. Accordingly, Higher Heights for America, an organization dedicated to supporting Black women who seek political office, has dubbed the recent success of women rising to political office as “The Chisholm Effect”. 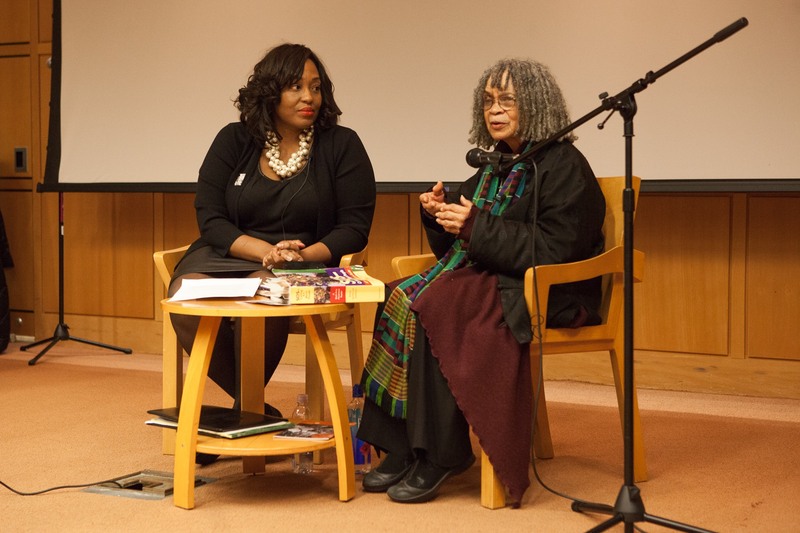 For the 50th Anniversary celebration, the Chisholm Project hosted two events—a Roundtable on the State of Black Women’s Politics, and a Conversation with Sonia Sanchez on Chisholm’s Life, Legacy and Freedom. The Roundtable featured political scientists Christina Greer of Fordham University and Niambi Carter of Howard University. Dr. Fraser served as a moderator for the discussion. Dr. Fraser also joined renowned poet and Black Freedom Activist Dr. Sonia Sanchez in their conversation about the Shirley Chisholm’s life and the power of Black women’s activism. Both discussions were standing-room-only events, attracted over 500 participants throughout the day which included Brooklyn College students and faculty, Brooklyn community members and elected officials. 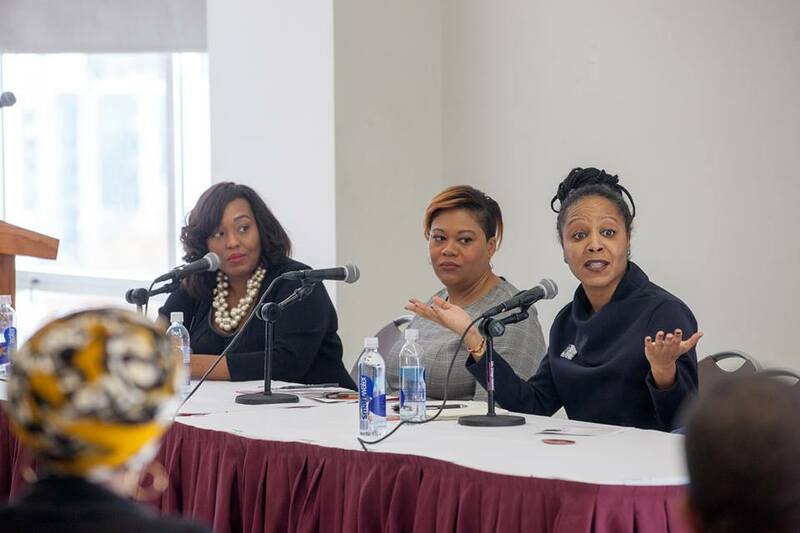 Officials like CUNY Trustee Dr. Una Clarke NY Assemblymember Rodneyse Bichotte and NYC Council Member Jumaane Williams were featured as guest speakers during the symposium. Although long overdue, the recent increase in interest about Shirley Chisholm’s political and cultural influence is the result of the painstaking work. 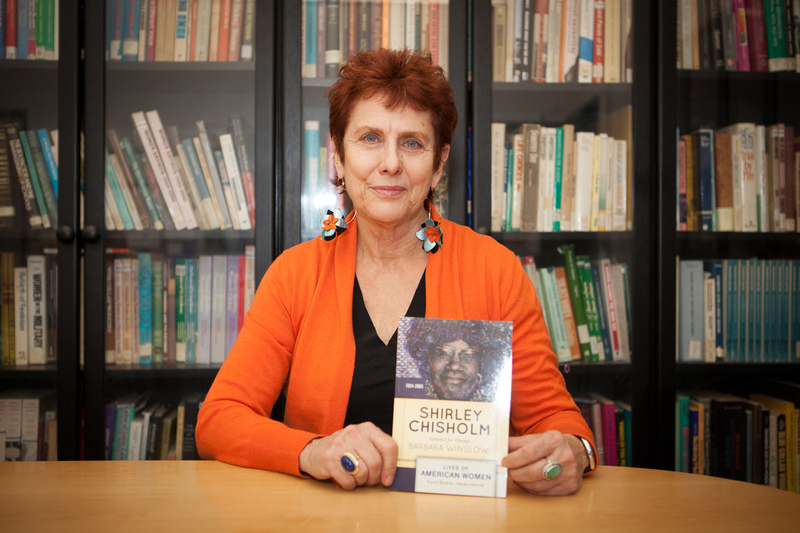 Project Director, Barbara Winslow holding her new Chisholm biography in 2013. Our Chisholm Day panelists, Professors Carter and Greer have also frequently mentioned Chisholm’s pioneering activism in their own work, including appearances PBS’s documentary Contenders. Professor Fraser’s award-winning dissertation on Chisholm is serving the basis of her upcoming book. Even aside from Chisholm’s historic Congressional and presidential campaigns, there is a wealth of information about her political philosophy, activism and governmental record that remains largely un-examined.